Bloom, Sol. History of the Formation of The Union Under the Constitution. With Liberty Documents and Report of The Commission. Photo available. Washington. United States Constitution Sesquicentennial Commission. c. 1940. 885 pps. 4to. Gilt decorated hard cover. First edition. Illustrated. Important reference work. Fine copy. Blue, Anthony Dias. American Wine. A Comprehensive Guide. New York. Harper & Row. 1988. Octavo. Hard cover. First edition. Illustrated. Fine copy in fine dust jacket (in mylar). Blum, Deborah. Ghost Hunters. William James and the Search for Scientific Proof of Life After Death. Photo available. New York. Penguin. 2006. Octavo. Hard cover. First edition. Fine copy in fine dust jacket (in mylar). Blumay, Carl. The Dark Side of Power. The Real Armand Hammer. New York. Simon and Schuster. 1992. Octavo. Hard cover. First edition. Illustrated. Fine copy (owner blind stamp) in fine dust jacket (in mylar). Blumenstein, Lynn. 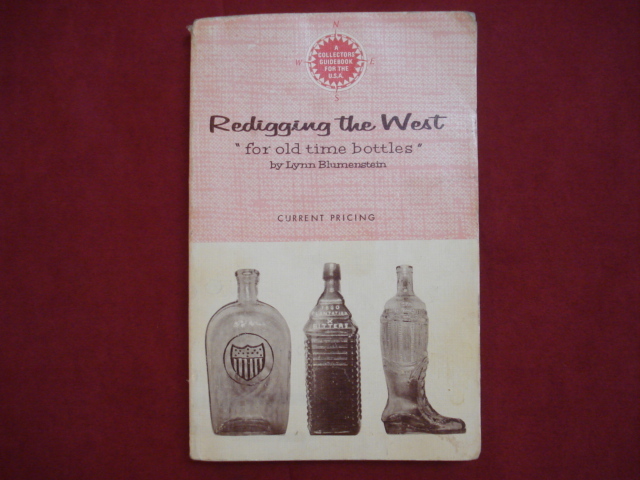 "Redigging the West" for Old Time Bottles. With Price List. Photo available. Salem. Old Time Bottle Pub. 1966. 195 pps. Octavo. Soft cover. Reprint. Illustrated. Near fine copy (very light shelf wear, owner name on title page). Blundell, Peter. The Marketplace Guide to Oak Furniture. Styles & Values. Paducah. Collector Books. 1980. Octavo. Decorated hard cover. First edition. Illustrated in black, white and color. Fine copy. Bluysen, Judith. Cajun. A Culinary Tour of Louisiana. 70 Classic Recipes with a French Accent. Photo available. New York. Rizzoli. 2002. 4to. Hard cover. First edition. Illustrated in black, white and color. Fine copy in fine dust jacket (in mylar). Bly, John (ed). The Confident Collector. How to Recognize an Authentic Antique. Photo available. New York. Prentice-Hall. 1986. Octavo. Hard cover. First edition. Illustrated in black, white and color. Fine copy in fine dust jacket (in mylar). Bly, Robert and Stephen Brigidi. Angels of Pompeii. New York. Ballantine. 1991. Octavo. Hard cover. First edition. Illustrated in black, white and color. Fine copy in fine dust jacket (in mylar). Boardman, John (ed). The Oxford History of Greece and The Hellenistic World. Oxford. Oxford University Press. 1991. Octavo. Soft cover. Reprint. Fine copy. Boardman, John. The Oxford History of the Classical World. New York. Oxford. 1986. Octavo. Hardcover. First edition. Illustrated in black, white and color. Fine copy in near fine (light shelf wear) dust jacket (in mylar). Boardman, John. The Oxford History of the Classical World. Photo available. New York. Oxford. 1986. Octavo. Hardcover. First edition. Illustrated in black, white and color. Fine copy. Boardman, John. The Roman World. The Oxford History of the Classical World. Oxford. Oxford University Press. 1996. Octavo. Soft cover. Reprint. Illustrated in black, white and color. Near fine copy (very light shelf wear). Boas, Max. Big Mac. The Unauthorized Story of MacDonalds. New York. Mentor. 1977. 183 pps. Octavo. Soft cover. Reprint. Fine copy. Bobo, J.B. The New Modern Coin Magic. Photo available. Chicago. Magic, Inc. 2002. 519 pps. 4to. Hardcover. Revised edition. Illustrated. Important reference work. Fine copy. Bobrick, Benson. 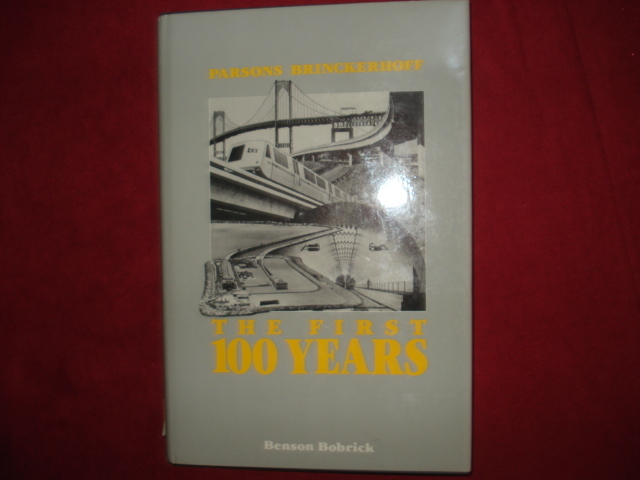 Parson Brinckerhoff. The First Hundred Years. Photo available. New York. Van Nostrand Reinhold. 1985. Octavo. Hard cover. First edition. Illustrated. Fine copy (presentation book plate) in fine dust jacket (in mylar). Bockris, Victor. Keith Richards. The Biography. New York. Poseidon Press. 1993. 408 pps. Octavo. Soft cover. First edition. Illustrated. Fine copy. Bodenheim, Nelly Het Regent Het Zegent. Leiden. A.W. Sijthoff. nd. Octavo. Decorated hard cover. First edition. Illustrated in color and black & white. Fine copy. Boehme, Lillian R. Carte Blanche for Chaos: A Critical Look at the Kerner Report. New Rochelle. Arlington House. 1970. 238 pps. Octavo. Hardcover. First edition. Fine copy in fine dust jacket (in mylar). Boelcke, Willi A. - ed. The Secret Conferences of Dr. Goebbels: The Nazi Propaganda War, 1938-43. Selected and edited by ... Translated from the German by Ewald Osers. New York. E.P. Dutton. 1970. 364 pps. Octavo. Hardcover. First edition. Ex-libris. Usual marks, otherwise nice copy in dust jacket. Boericke, Art. Handmade Houses. 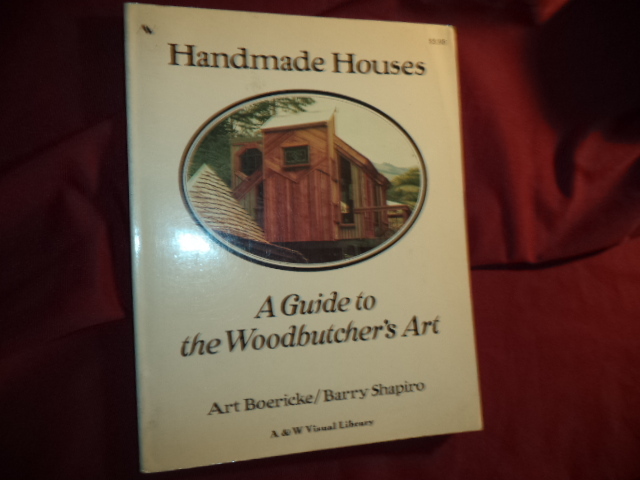 A Guide to the Woodbutcher's Art. Photo available. San Francisco. Scrimshaw Press. A & W Visual Library. 1973. Octavo. Soft cover. First edition. Illustrated in color and black & white. Important reference work. Fine copy (very light stain, bottom rear panel). Boericke, Art. Handmade Houses. A Guide to the Woodbutcher's Art. Photo available. San Francisco. Scrimshaw Press. A & W Visual Library. 1974. Octavo. Soft cover. First edition. Illustrated in color and black & white. Fine copy (price inked out on front panel). Boericke, Art. Handmade Houses. A Guide to the Woodbutcher's Art. Photo available. San Francisco. Scrimshaw Press. A & W Visual Library. 1973. Octavo. Hardcover. Reprint. Illustrated in color and black & white. Important reference work. Fine copy. Boffa, Giuseppe. The Stalin Phenomenon. Ithaca. Cornell University Press. 1992. Octavo. Soft cover. Fine copy.